What They Said About My Books! 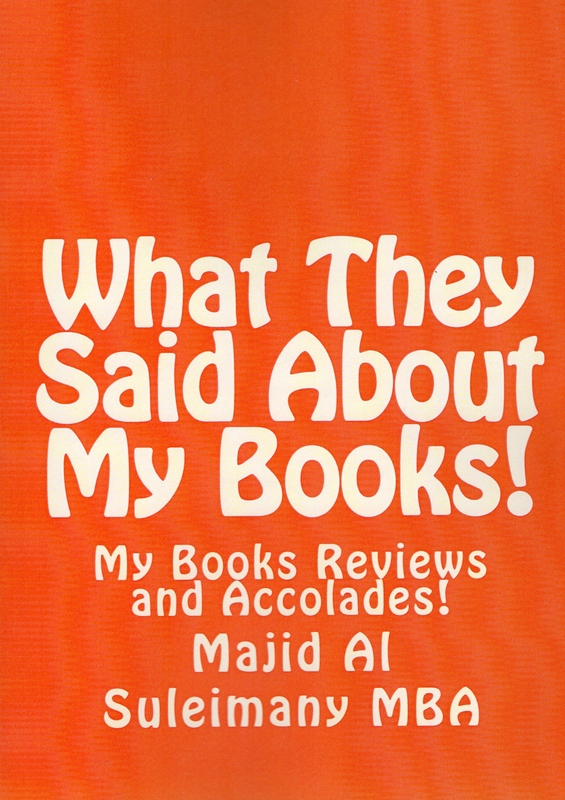 | My Majid Books! 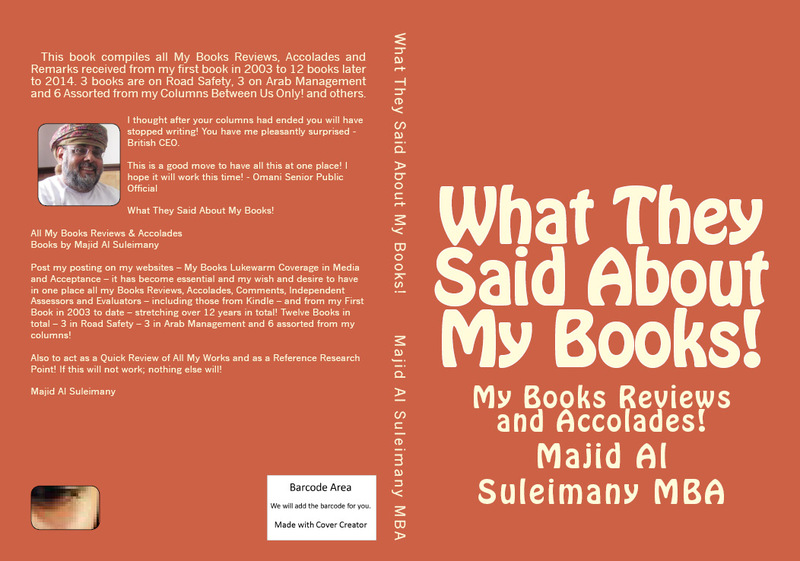 Home » Books by Majid Al Suleimany » What They Said About My Books! What They Are All Saying About My Books! Post my posting on my websites – My Books Lukewarm Coverage in Media and Acceptance – it has become essential and my wish and desire to have in one place all my Books Reviews, Accolades, Comments, Independent Assessors and Evaluators – including those from Kindle – and from my First Book in 2003 to date – stretching over 12 years in total! Thirty Three Books in total – 3 in Road Safety – 6 in Arab Management – 3 on My Autobiography – The Story of My Life! – and the rest assorted from my columns! Also to act as a Quick Review of All My Works and as a Reference Research Point! If this will not work; nothing else will!